If you are taking control of a trust for your own benefit, one source of fear may simply be fear of the unknown. Asking a few simple questions may provide the information you need to step into a more confident mindset. WASHINGTON — As women control more of our nation’s wealth, they also are taking the reins on trust accounts established for their benefit. For many women, this may be the first time they have primary or sole control over a substantial amount of money. If you are taking control of a trust for your own benefit, one source of fear may simply be fear of the unknown. Asking a few simple questions may provide the information you need to step into a more confident mindset. What are the rules of this trust? There are a number of different types of trusts, each with its own set of legal characteristics. There also can be a wide range of complexity introduced by the nature of the assets held in the trust. For example, the structure of the income, distributions and underlying liquidity of a trust will vary if the trust holds commercial rental real estate versus a diversified portfolio of stocks and bonds. Whether the trust is newly created as the result of someone’s death, or an existing family trust established a generation or two ago, each trust has specific goals based on the original intent of those who funded the trust. Many times, that person had a particular use in mind — perhaps to support a relative with special needs or to pay for higher education. In these scenarios, how you are able to use the trust funds may be restricted. Often the best way to become aware of the trust’s goals is to review the trust agreement or the will provisions that established the trust. A trust document will provide you with instructions for managing, investing and distributing trust assets. It will outline your authorities and how you are able to use the funds. If a trust document fails to articulate a specific purpose, then you may need to refer to state laws for guidance. If you don’t have a copy of the original trust document, the estate-planning attorney or executor of an estate usually holds a copy and will have the authority to share it with you as beneficiary. Who knows the history of this trust? If more information is needed on the history or intentions behind the trust, the best way to get those questions answered is to meet with all the advisers involved with the trust. This may include another trustee who could be a family member, or, a professional trustee such as a bank or trust company. 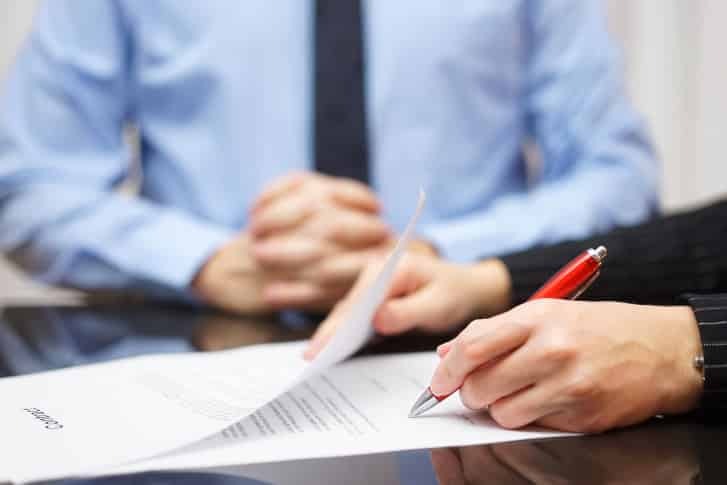 If the trust already exists, there likely is an attorney who drafted the trust agreement with the original grantor who may be acting in an administrative capacity. There also may be a CPA who prepares the trust tax return. Finally, an investment adviser may be providing professional investment management for the trust assets. Meeting these advisers can give you a solid history on how the trust has operated in the past. They may be a valuable source of any behind-the-scenes information. If this is a new trust (e.g., a testamentary trust created at someone’s death), it’s a good time to understand the historical role of each adviser and determine if they will continue in that capacity for you. Bear in mind that if you reside in a different state from where the trust was created/sited, there may be a need to engage more than one attorney or CPA to be sure you’re meeting each state’s legal and tax requirements. If the trust allows and circumstances warrant, you may want to seek legal opinions on whether it makes sense to change the legal situs of the trust. Additional responsibilities may fall to you if you are named as the trustee on the trust. If that’s the case, you’ll not only be responsible for ensuring assets are used according to the trust specifications, but you’ll also be responsible for the accounting and administration of the trust. This includes preparing income tax returns, ensuring taxes are paid, and following numerous federal and state trust laws. You’ll need to establish a process for keeping accurate transaction records or hire someone to provide administrative services for you. How are the funds invested, and why are they invested that way? We believe all investors should know what assets they own and why, and this applies to trust assets as well. Whether you have an opportunity to change the trust’s asset allocation or not, it’s worth taking the time to understand what makes up the underlying value of the trust. Once you understand the new assets, you’ll also want to consider whether changes are warranted in your existing investment portfolio. For example, if you receive a substantial trust with a portfolio of U.S. large company stocks, you might consider reallocating your 401(k) or your spouse’s rollover IRA to prevent over-concentration to this asset class. If the trust provides an additional source of income, you may then be able to reinvest dividends you were otherwise using for income, or perhaps hold cash flow inside a business you own rather than taking income distributions, as some living expenses may now be covered by trust distributions. To better understand your trust’s investments and implications on your overall portfolio allocation, you may need to enlist the help of the current investment adviser or hire your own adviser. Another common problem is when the asset allocation of the trust no longer makes sense for the beneficiary. The age, investment time horizon or liquidity needs of the new trust owner may differ substantially, as is often the case of trusts created at death with assets passing to a much younger generation in a family. For example, a portfolio of bonds may no longer be appropriate if the new trust owner is in their early 30s with no need for income distributions in the next 5 years. What is the tax treatment and how are taxes paid? If a trust earns income, that income is likely subject to income taxes at the federal and perhaps at the state level. Because a trust is a separate taxable entity, different tax forms are required, and the tax rates differ from individual tax rates. If this is your first experience with a trust asset, it’s advisable to work with a CPA to make you aware of trust tax issues so that you can avoid tax-related surprises. One very basic detail to know about trust taxation is that income earned in the trust that is kept in the trust entity will be taxed at trust tax rates. Those rates are likely higher than the individual tax rate you pay on other sources of income. If, instead, funds are distributed to you as the beneficiary, taxation will depend on whether the distribution comes from the trust’s income or original principal. The good news is that distributions of long-term capital gains to the beneficiaries are taxed at the more favorable long-term capital gains on your individual tax return. Taxation of trusts can become extremely complicated, and the structure of the trust itself will play a major role in how the trust gets taxed. Lastly, the basis of the assets in the trust will be important in determining taxation when assets are sold. Confirm that whoever is managing the trust assets accurately accounts for the original amount invested to ensure your tax basis is correct. Is my trust protected from creditors or a divorce? Someone’s money can never be completely protected should a lawsuit occur. However, there are certain trust structures that improve your chances of shielding assets from a potential lawsuit. This will be of concern if you take control of a trust and also work in a high-liability profession — for example, as a doctor or lawyer. Rules will vary by trust structure and by state, so legal advice will be needed to fully understand the risk that these assets could be targeted in case of legal liability. You should also consider whether or not you want to co-mingle these separate assets with joint assets. Absent a prenup or other legal document, co-mingling may occur if you use your trust funds for things like buying a new home or making improvements to an existing home that is jointly titled with your spouse. Once those funds are co-mingled, they become marital property and could be included in joint assets during a divorce. If you’re receiving a trust and then later marry, it’s a good idea to consider a prenup to have extra protection for your trust in case of a future divorce. Who would be the beneficiary of this trust if I pass away? When a trust is first established, the original grantor may name the next beneficiary if you pass away. That’s one way they help to ensure the assets stay in the family. If a successor beneficiary is not provided for in the trust document, you’ll want to consider how this asset affects your existing estate plan and amend your documents to direct the asset at your death. If the trust asset level is substantial – above $5 million – you’ll also want to review potential estate tax implications of this new asset. Equally important, if your beneficiaries are minors or individuals with special needs, additional estate planning may be necessary to incorporate the impact of this trust. How can I monitor this new asset? Once you’ve established a baseline knowledge of your trust, you’ll want to establish a way to monitor the trust on an ongoing basis. Depending on the complexity and value of the trust, you may want to have a team of trusted advisers in place to help you. It’s a good idea to consider what information you will need to assess the performance of the trust assets and the quality of the advice you’re receiving. Determine how you’ll monitor all the costs, including, as applicable, consulting fees, internal fees for investments (i.e., mutual fund expenses and trading costs), advisory fees and ongoing tax planning and preparation. Inheriting a trust can significantly impact your life and the lives of your family. While managing a trust can be complex, with the right information and advice, your trust may offer greater opportunity and financial security.